MGM has announced the largest privatly financed project in the United States, the things listed below are just some of the amenities that this project will feature. 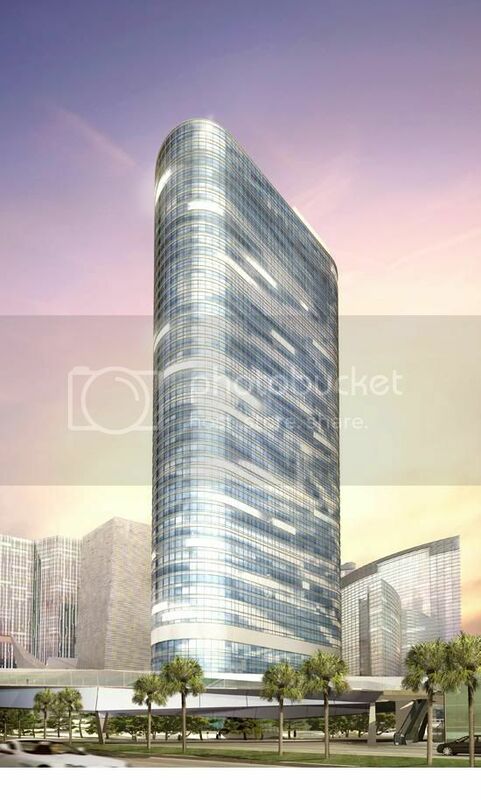 1: 4,000-room 60-story CityCenter Resort tower. 3: 400-room Mandarin Oriental Hotel and Residences. 4: 400-room The Harmon Hotel/Residences. 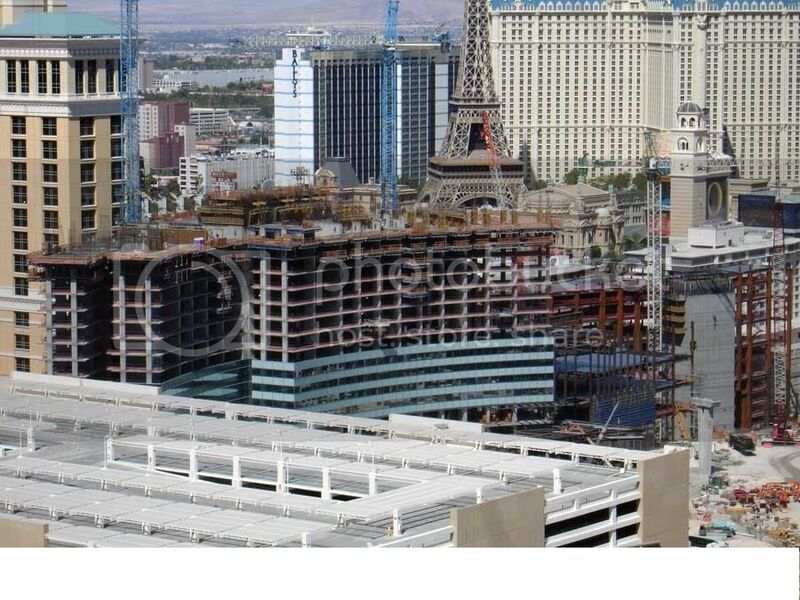 5: 1500-unit Vdara Condo-Hotel tower. 6: 2 350-unit Veer luxury condo towers. 7: 500,000 square feet of retail and entertainment space. 8: 225,000 square feet of convention and meeting space. 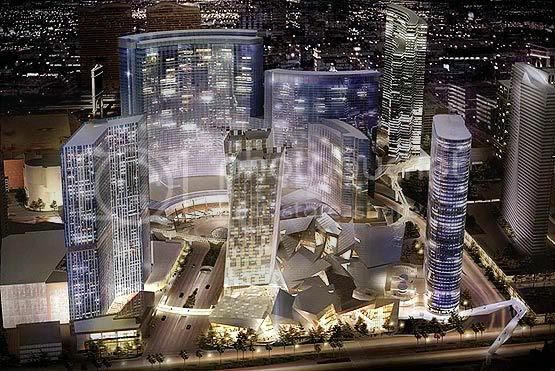 The project is expected to cost 7,000,000,000 dollars and has already broke ground between the Bellagio and the Monte Carlo. The projected completion date is set for 2010. 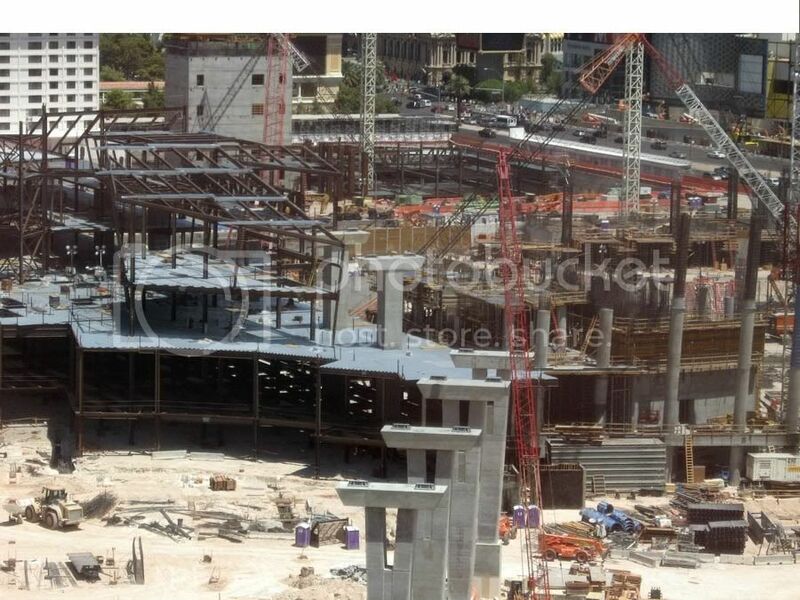 Update: A 10-story, 5,300 space parking garage has been completed for MGM Mirage employees. Tower and Veer Condo Towers. Main Resort Tower - currently on the 14th floor. Mandarin Oriental Hotel - currently on the 1st floor. Vdara - currently on the 3rd floor. Veer Tower (west) - currently on the 1st floor. Veer Tower (east) - currently on the 1st floor. Center City is steadily going up fast, workers are moving at a pace of about 1 floor a week for all 6 buildings. Main Resort Tower - currently on the 16th floor. Mandarin Oriental Hotel - currently on the 3rd floor. Vdara - currently on the 6th floor. Veer Tower (west) - currently on the 2nd floor. Veer Tower (east) - currently on the 2nd floor. Main Resort Tower - currently on the 17th floor. Mandarin Oriental Hotel - currently on the 4th floor. Vdara - currently on the 9th floor. I've been talking about this project for a few months and didn't have a picture of it so here you go. From what I hear the main tower is up to the 20th floor. Is Frank Gehry involved? It would appear that he is from the drawing. Very interesting. Main Resort Tower - currently on the 22nd floor. Mandarin Oriental Hotel - currently on the 6th floor. Harmon Hotel - currently on the 2nd floor. Vdara - currently on the 13th floor. Veer Tower (west) - currently on the 4th floor. Veer Tower (east) - currently on the 4th floor. Here is a construction photo taken a few weeks back, the amount of cranes for just one project is amazing. 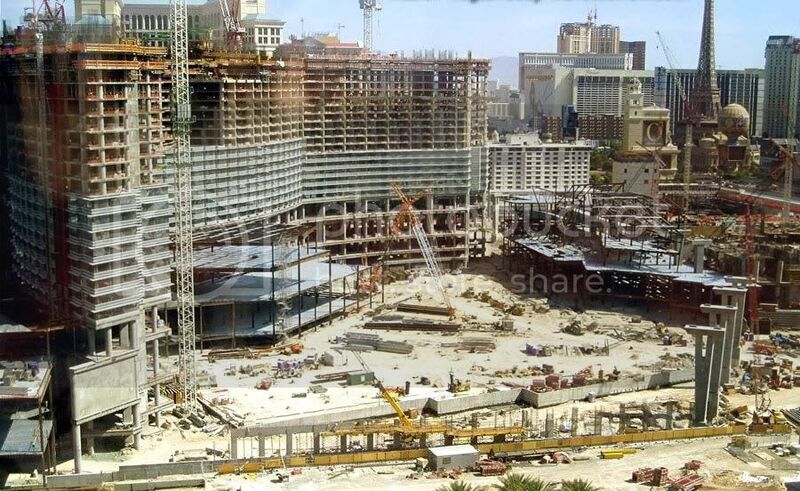 Here is a great shot of the main resort tower, this picture shows just how big this project really is. What was there before this project? Here is video of the Boardwalks implosion, not as good as the Stardust. 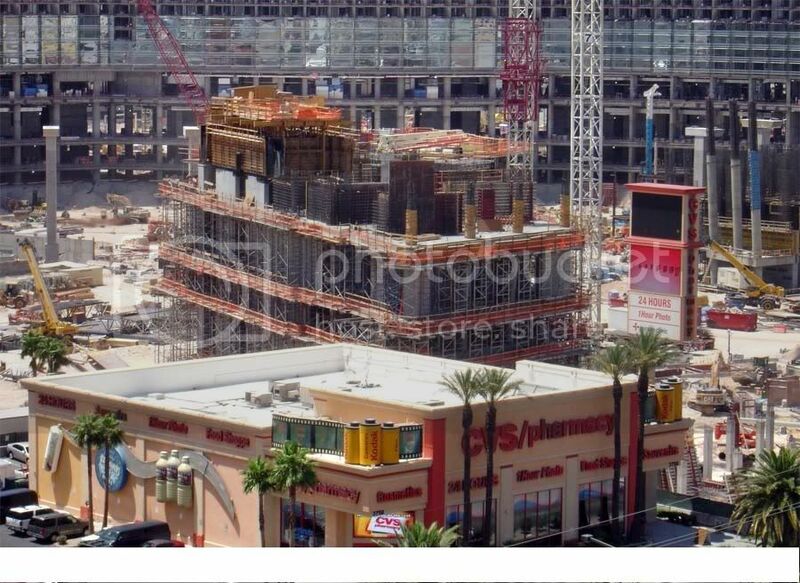 Here are some updated pictures of City Center. 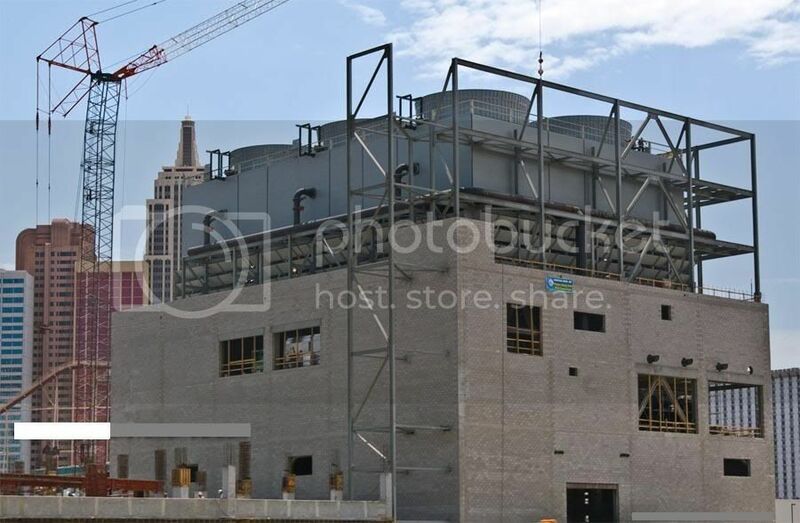 With Center City basically being its own mini city developers had to build a power plant just for this project, the power plant will be used for everyday operations of Center City when it comes online. The Harmon Hotel the last of Center City to begin construction has started to take shape it is currently on the second floor that only leaves 42 more. I can't find any construction pictures so here is a redering since I haven't posted one yet. 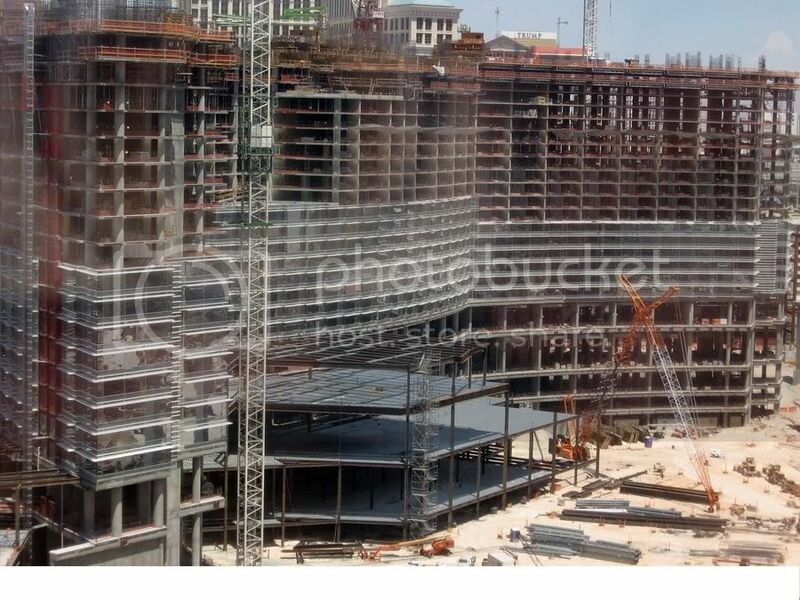 CityCenter is going to be such an awesome experience to walk through when completed. I sat in Bellagio and marvelled at the model (a piece of art in itself) for about 30 or 40 minutes. When is the whole project supposed to be done? If it is going in phases, what will be done first and when will it open? And, are the going to get rid of the CVS. It sure does look out of place with all of the world-class architecture going in. Any new progress pics? I'm interested to see how it is coming along. Great pics. Keep them coming! When is the first building supposed to open (and what is it?). apparently this project was in some jeapordy, but MGM will push forward with all its projects despite its recent poor performance. MGM recently opened its new casino in CT. or rather it is in the process of opening certain parts of it. i can't imagine them halting the project with so much of it completed!